On September 23, 2017, just after 9:00 am, Swan River RCMP were called to a report of a robbery in progress at a business in Swan River, Manitoba. Initial reports were that the male had a firearm and was damaging the property. 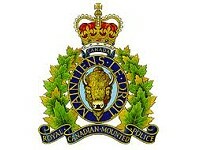 A RCMP supervisor was able to speak to the male on the phone and get him to exit the building and turn himself in without incident. The male was in custody within 45 minutes of the report to police. It was determined the male did not have a firearm. He had caused significant damage to the property. Nobody was injured. Colton Bone, 26, of Brandon, is charged with Robbery, Uttering Threats, and Mischief Over $5000. He remains in custody.